Manchester United to step up their interest in Napoli star? Manchester United could reportedly intensify their pursuit of Kalidou Koulibaly with manager Jose Mourinho concerned with the defensive organisation of the team. The Red Devils boss was desperate to recruit a new centre-back during the summer transfer window but the club were not able to fulfil his wish after failed attempts to land Harry Maguire and Jerome Boateng. Since then, the club have gone through their worst-ever season in the Premier League era, where they have already dropped out of the title race and The Sun claims that Mourinho could seek to make amends with signings next month. 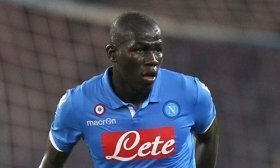 It is added that Koulibaly has been earmarked as the prime target on their wishlist and United could be prepared to stump a world-record £90m for a defender to lure him from Stadio San Paolo. United recently suffered a 3-1 defeat at the hands of Liverpool and this has dropped them 11 points behind the top-four positions and a further eight behind the Reds, who are now topping the standings.